I don’t know if it is true for all kids, but my girls were little movers from the get go. From rolling over to crawling, cruising to walking, running to climbing; they never stop! My youngest is now 2 years old and is constantly trying to keep up with and copy her gymnastics loving big sister – which means lots of time spent upside down and in comical body contortions. Which ALSO means lots of leaks for some diaper brands. 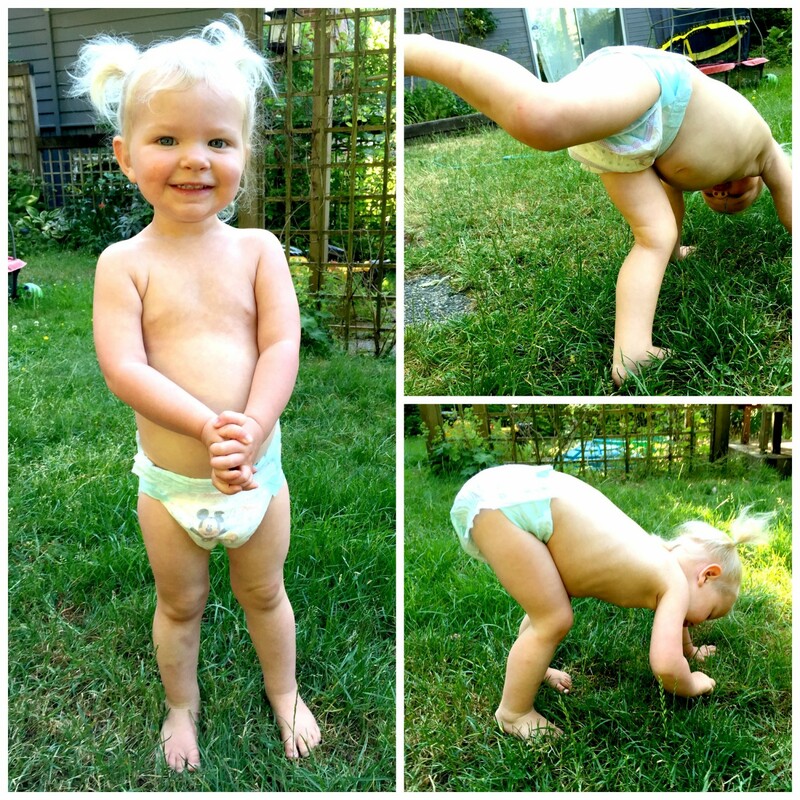 I’m not sure if my toddler has odd proportions (she is perfect to me) but it is surprisingly hard to find diapers that don’t gape around her legs while she is on the go. This has led to many more leaks in an otherwise perfectly dry diaper than I care to remember (the walmart shopping cart was the worst), and don’t even get me started on the nighttime troubles! Huggies® Little Movers Plus keeps up with even the most active toddlers! Enter Huggies Little Movers Plus. The offer to test and review these diapers came almost serendipitously, when I was at my wit’s end with diaper leaks. The first thing I noticed as I opened the package was how incredibly soft the New DryTouch Liner®. Seriously. They feel so velvety and luxurious! I sincerely appreciated the double grip strips and adjustable waistband that provided a custom fit no matter what position my little gymnast found herself in. Best of all, they are available exclusively at Costco – my favourite place to shop! 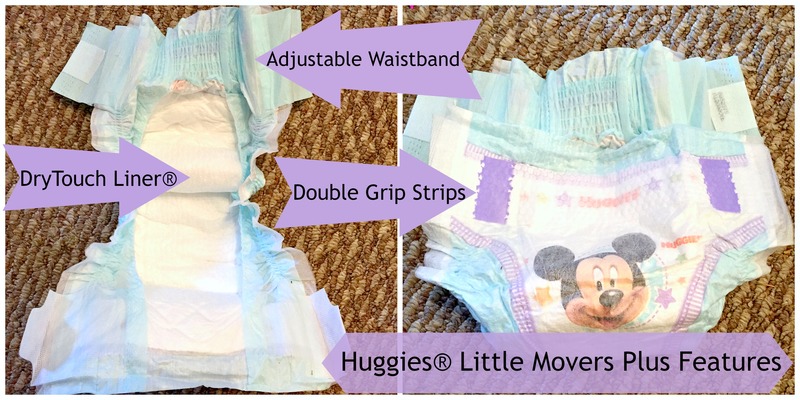 Check out the video below to see Huggies® Little Movers Plus in action. Next time you’re at Costco be sure to grab a box of Huggies® Little Movers Plus or Huggies® Little Snugglers Plus !